“Working at the Intersection of Law and Science: Reflections on a Fruitful Collaboration” (with J. Chandler, Y. Bédard, and M. Gervais), in Nicholas Chrisman & Monica Wachowicz, eds., Spatially Enabling Government, Industry and Citizens: Research and Development Perspectives, 2012. Abstract. It is relatively rare for largely scientific collaborations to involve researchers from law, and when this is done, their contributions are often peripheral to the goals of the main project which are to advance scientific or technological knowledge and to develop applied outcomes. GEOIDE Phase IV broke with this tradition by funding a science-led collaborative research project that put legal and ethical issues squarely at the forefront of the research agenda. In our project, the researchers sought to examine what legal considerations were relevant to the evolution of GIS-related practices, how technological innovations and standards should adapt to normative frameworks, and where law reform might be needed to advance the goals of GIS in a rapidly changing information environment. In this chapter, the authors reflect on the merits and challenges of such an approach, drawing from their own experience as legal researchers and as scientists within a predominantly science and technology-oriented research network. In this paper, the author explores the ambiguities and inconsistencies in the Supreme Court of Canada’s latest articulation of the balance to be struck in copyright law. She considers whether the balancing of interests is to be approached by courts based on, or independently of, the balance struck in the legislation. She argues that the identified interests of ‘creators’, ‘users’ and the public should be understood in a textured way, and that the interests of ‘owners’ should neither be forgotten nor conflated with those of creators of works. Patent Law at the Supreme Court of Canada: A Healthy Balance? In the health care context, the boundaries of private ownership rights over innovation in the fields of biotechnology and pharmaceuticals and the scope of the public domain have important implications for research and development, for cost to both the public purse and to private individuals, and ultimately for access to treatment. An approach which places limits and sets boundaries is therefore often favoured by those concerned about these areas of activity. By contrast, the pharmaceutical industry has emphasized the importance of strong and broad patent rights, arguing that they provide the necessary incentive for continued research and development. This paper explores these tensions in the context of the decisions of the Supreme Court of Canada. The first section of the paper explores the Court’s recent statements on the purpose of patent law, with a particular focus on statements of purpose in health law related cases. After a consideration of the general statements of purpose made in the cases, the paper examines how these statements influence the interpretation and outcomes in key cases. The second section of the paper examines the Court’s approach to interpreting the scope of patents. As the Court has pointed out, a patent is a regulation within the meaning of the Interpretation Act. Thus the interpretation of the scope of the patent granted, also referred to as “claims construction,” is a second level of judicial interpretive activity. The paper considers recent key decisions of the Court in which it details the proper approach to claims construction in light of the stated purposes of patent legislation. Canada’s constitution divides jurisdiction over the full range of legislative subject matter between federal and provincial governments. 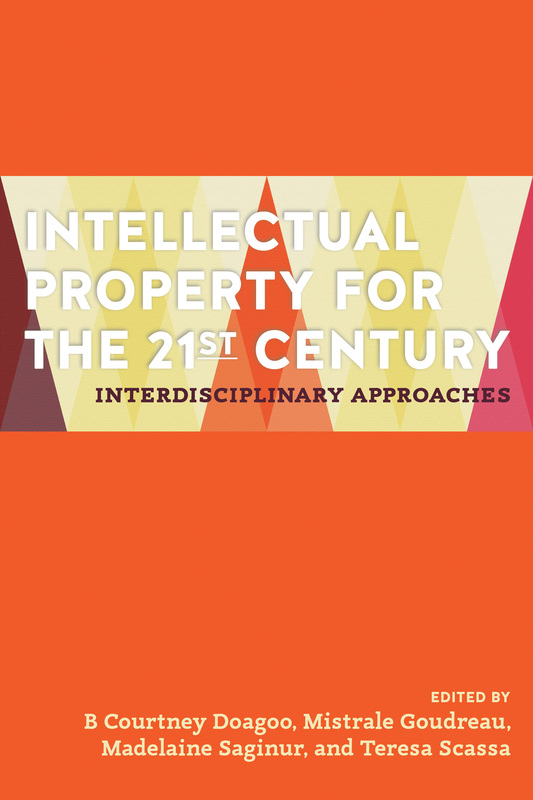 While intellectual property subjects have typically fallen within federal jurisdiction, some aspects of intellectual property protection are provincial in nature. This is particularly the case in the area of trademarks. Further, Canada is a mixed jurisdiction. While the three territories and nine of the ten provinces draw on the common law legal tradition, Quebec’s private law is drawn from the French civil law tradition. This federal and bijural nature of Canada’s legal system presents some challenges for trademark law. The challenges cut across a variety of lines. This book chapter explores the issues which arise from the tension between the federal and provincial levels of government and between the co-existing common and civil law traditions. Primary focus is given to the issue of the division of powers. The tension between jurisdiction over registered and unregistered marks is explored. 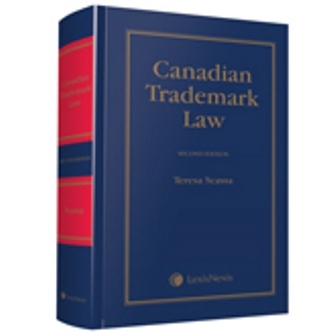 Issues such as the constitutionality of various provisions of the Trade-marks Act, and the Trade-marks Act itself are considered, as well as the interrelationship between provincial legislation governing business names and registered trademarks. The paper also explores the harmonization of principles of “passing off” in the private law of both Quebec and the common law provinces. In this paper, we explore the extent to which spatial data may be considered personal information for the purposes of data protection and privacy law. While data quality is an important objective in the creation of spatial data applications, we demonstrate that even relatively low quality spatial data may attract the application of data protection or privacy law, particularly when it is matched or combined with other data sets. The rapid development of a variety of applications and tools that incorporate spatial data pose significant privacy law challenges both for individuals and for the developers and users of these tools.